Textual elements of the score are written in Portuguese. 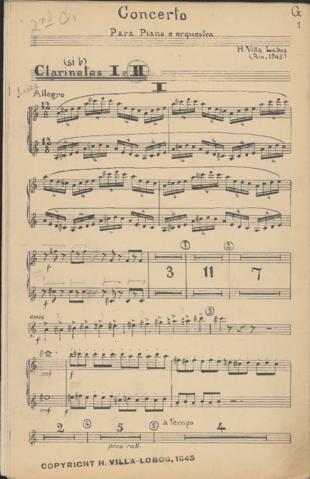 This part is annotated by Sigmund Bockman for a performance in Dallas, Texas on December 29, 1946. Description revised by Rebecca Shaw on December 8, 2018.